| Stephen puts his work into another level!!! 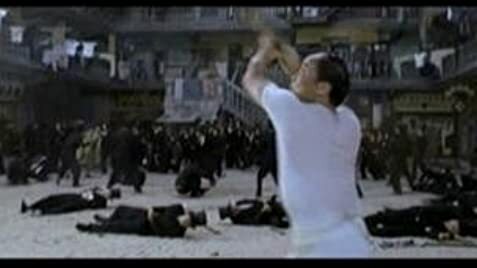 Most of the names of the superpowers in the film are taken from the pulp novels of Louis Cha, a household name in Hong Kong, often compared to Alexandre Dumas and credited with the invention of modern martial arts swashbucklers. Landlady: So you're on their side? The Beast: Don't get me wrong! I only want to kill you, or be killed by you. When Brother Sum is about set the children on fire, he throws the lighter and it falls near his feet. In the next shot, it flies dramatically through the air above the children's heads.